Hey guys! 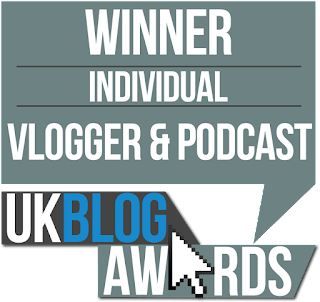 I hope that you all enjoyed my last post, starting YouTube was an exciting yet nervous time for me. 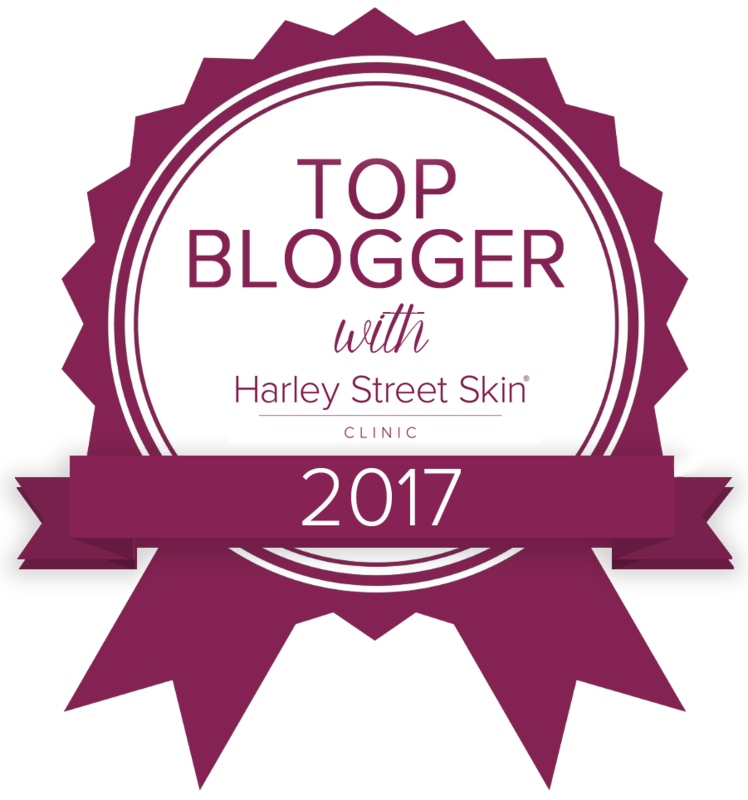 If you haven’t yet seen it then you can by clicking here. So this week I went into Boots where V05 products were ‘2 for £5.00’ so I of course took advantage of this nifty little discount. 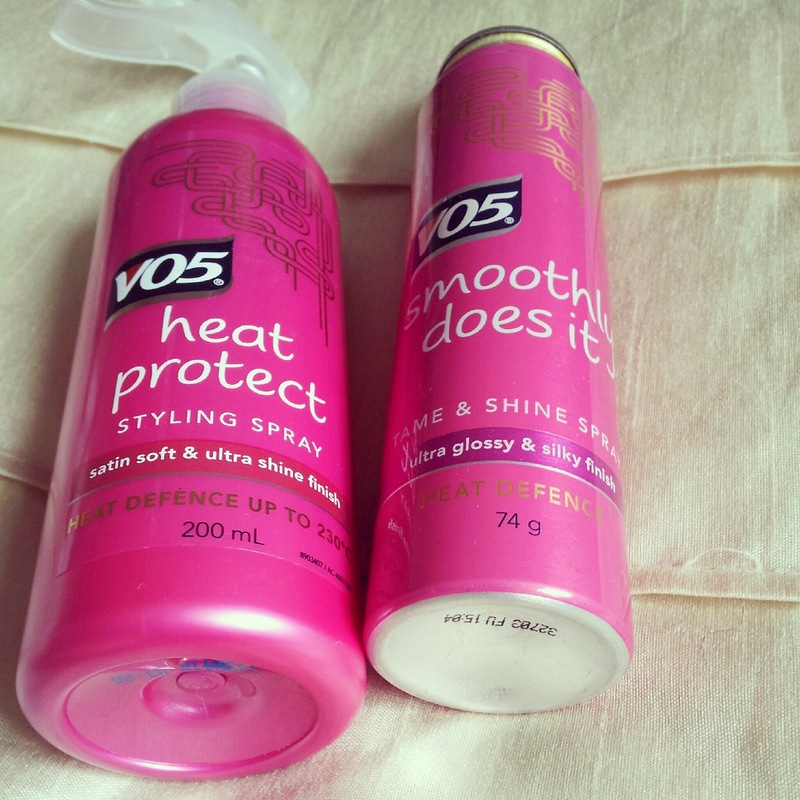 I therefore purchased ‘Heat Protection Spray’ and ‘Tame and Shine Spray’. 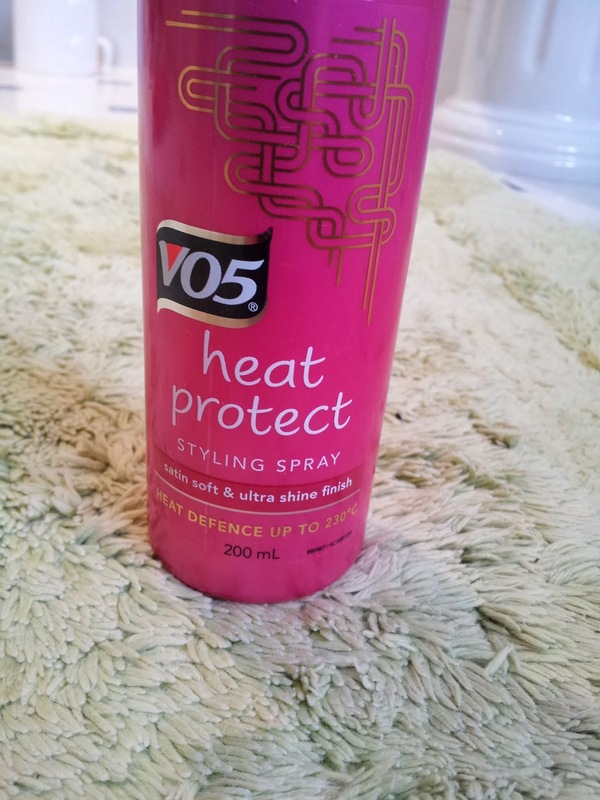 I have been using V05’s Heat Protection Spray for many years now where I believe it to be one of the best out there. It was however my first time purchasing the Tame and Shine Spray where it has become an essential product to pop in my hair when it is styled down. 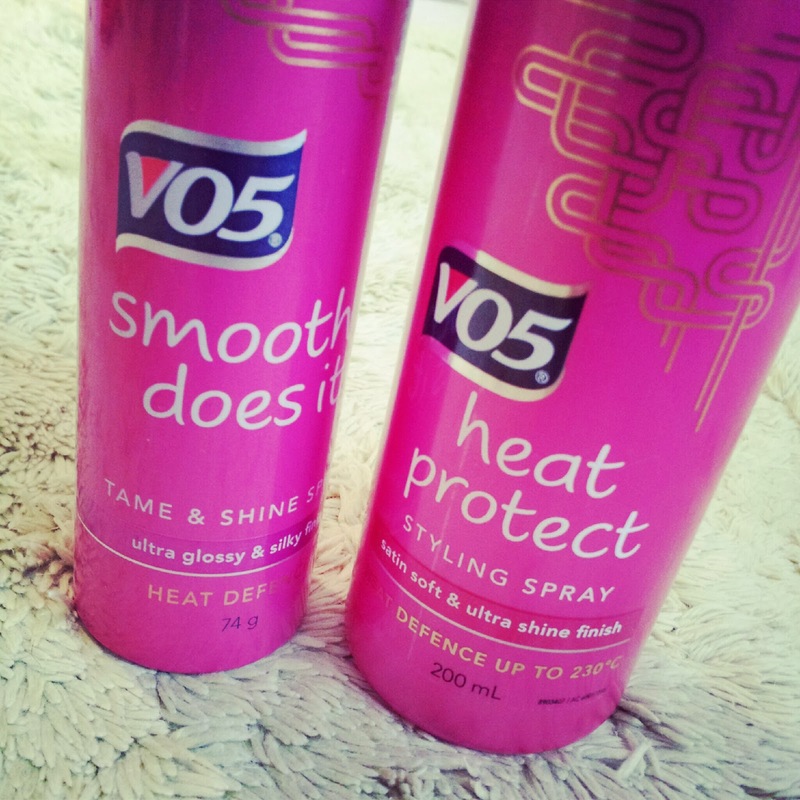 They are individually priced at £3.69 for the Protection Spray and £3.89 for the Tame and Shine Spray. I have been using this spray for many years now where I honestly feel that it is one of the best out there on the market. Heat defence spray is incredibly important if you are using hair dryers, straighteners or curlers as it can damage your hair by making it feel brittle and dry. This spray can take heat up to 230 degrees as it contains heat activated particles which protects every strand. I like to apply this spray from the mid section of my hair to the ends. You can also use this product as a styling spray which is fabulous if your hair is difficult to put up. Overall this product isn’t too heavy so it doesn’t leave the hair feeling greasy. Overall I rate this product a strong 7.5 out of 10. This product is suitable for any A list celebrity. The Tame and Shine Spray leaves your hair looking incredibly glossy and silky which even works well on dry or damaged hair. I have now started to use this product every time I wear my hair down and it has made all the difference. My hair looks much more healthier and the shine to it is very noticeable. Personally I do not like using products if they are too ‘weighty’ as it leaves my hair feeling greasy but this product is very light and effective. You can use this spray when your hair is wet or dry and it also acts as extra protection against heat. 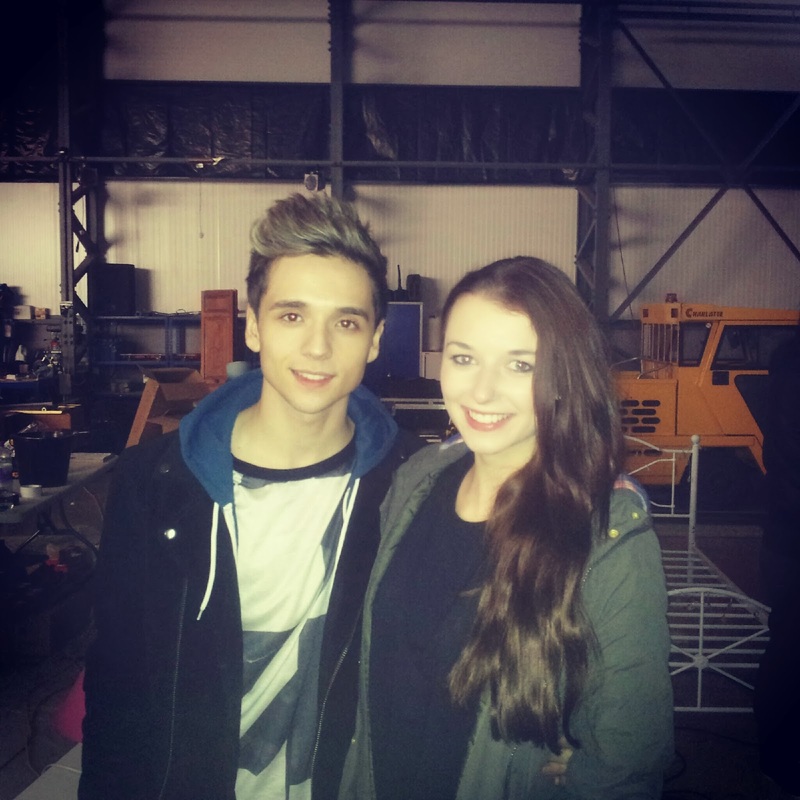 I wore this spray at the Elyar Fox music video shoot which made my hair ever so shiny for the cameras! (below). Overall I rate this product 8 out of 10! 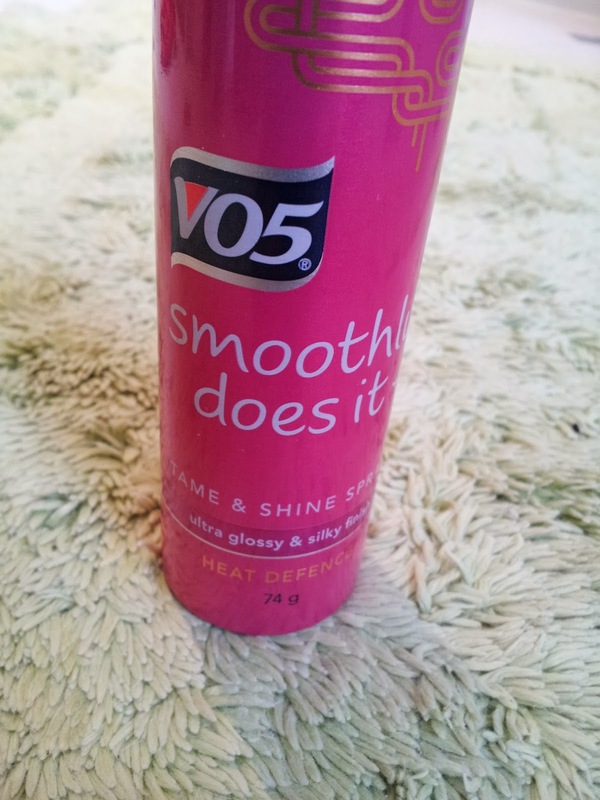 Do you have any favourites from the V05 range?